Established in the year 2007, we, “Pace Electricals”, are an eminent organization, involved in trading, manufacturing, importing and exporting a qualitative range of Bus Bar Supports, Bush Bar Insulator, Dmc Bus Bar Support, Three pole Bus Bar Support, four pole Bus Bar Support, Porcelain Support, Cooling fan, Cooling fan, Panel cooling fan, 6 Cooling fan, Panel fan, Rotary Switch, CAM Switch, Voltmeter Switch, Ammeter Switch, Brass Neutral Links,Control Panel Accessories like Standoff Insulators, Bus Bar Supports, Lead Wires, Cable Glands, Hinges etc. The range offered by us encompasses Die Cast Zinc Hinges, Mild Steel Hinges, Brass Hinges, Adhesive Gaskets, Blanking Plates, Door Handles. 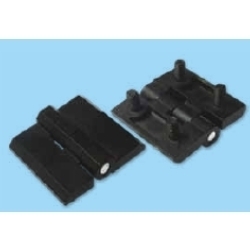 Along with this, we also offer Rotary Cam Switches, Porcelain Connectors, Din Rails, Quarter Turn Cam Locks, Brass Cable Glands and High Temperature Lead Wires. All our products are sourced from trusted vendors of the market, who follow international standards in the manufacturing process. Owing to the attributes like accurate dimensions, resistance against corrosion and longer life, these products find application in switch gears, switchboards and control panels. To meet the clients' requirements, we provide free sampling and customized solutions of our products. Moreover, we also provide OEM facility to our esteemed customers.